Has any of your contact info changed? Keeping your records updated is very important please let us know what has changed. What all do I need to bring to my Appointment? When you come to your appointment bring your insurance card, photo ID, your current glasses or glasses/contact prescription, any old medical records, and a list of all current prescriptions. Are you a past patient of Dr. Dapremont? Dr. Gaddy now handles all of Dr. Dapremont's patients here at Gaddy Vision on 10051A Lorraine Rd, Gulfport, MS. Be sure to bring your Insurance and ID when you come to your appointment. Why is the Refraction done? The refraction is a mandatory procedure done one a year. It is to determine your glasses prescription and also let Dr. Gaddy know if there are any medical conditions causing the change in your vision. Dr Gaddy will use each yearly refraction as a comparison as well as give you your glasses prescription. Unfortunately most insurance policies do not consider this to be medically necessary and they do not cover this portion of the exam. 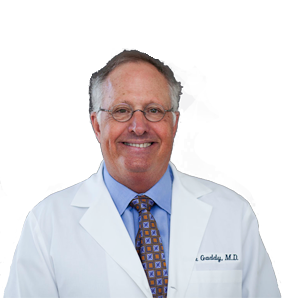 Dr. Gaddy is a specialist. He will be doing a full dilated exam as well as obtain your glasses prescription once a year. This refraction is not just to obtain a glasses prescription, it is also to determine if there is any changes going on that could lead him to a medical diagnosis. Insurance Companies that do cover the refraction: BCBS Federal, Medicaid, SAS thru Memorial, some Aetna policies, Tricare Prime and Tricare Standard, Tricare for Life picks up all by $18.97. Are There any Pre or Post Op Instructions for Surgery? Yes please follow the link below both before and after our surgery. Is there any finance options available?